Spring is officially here and gone are those frigid, ice-cold morning commutes. One of the best parts about spring (other than seeing the sun again) is the bright bursting colors reminding us summer is just around the corner. … but the thing is, many of them are so desperate to take the coveted “Instagram worthy” photo, they’re actually crushing the flowers and the beauty in the process. Look, this article is not about encouraging you to trample on some farmer’s field just to get an epic Instagram photo. Not cool. But let’s face it, blooming wildflowers lining the hilltops and fields are a site to see. Especially hundreds and thousands of them blowing in the spring breeze. And seasoned travelers know you can see these sites without destroying them. To be clear, we are also not suggesting you book a hippie flower tour around the globe. That’s not our style either. However, during your upcoming spring break trip, we do suggest checking out these destinations with some of the most beautiful wildflowers in the world. 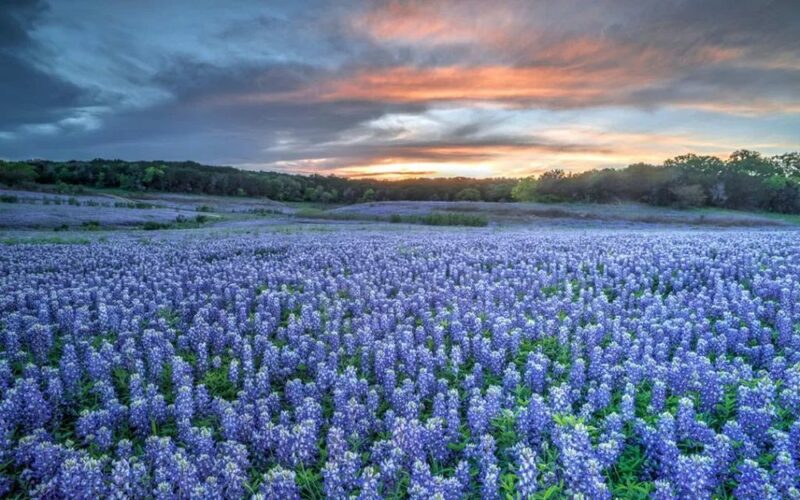 Miles and miles of these stunning bright blue flowers can be found all throughout Texas. Texans are proud of their state flower and take pride in the colorful display of bluebonnets lining the Lone Star State. You can see these blue petal and white-tipped flowers almost anywhere, but one of the best spots is Willow City Loop. This 13-mile road is located in Fredericksburg and filled with not only bluebonnets, but Mexican poppies and yellow daisies! And while you’re in Texas, check out Austin – it’s not too far of a drive. And don’t forget to try some Bluebell ice cream! The rolling hills of California are lined with bright orange poppies, drawing in tens of thousands of tourists from all around the world. And because of the heavy rains earlier this season, a “super bloom” phenonium has occurred—which essentially means an “explosion” of flowers outside the norm. In simple terms: there are tons of wildflowers all over The Golden State. Despite the chaos, the orange poppies would still be pretty cool to see. Home to the largest flower park in the world, Keukenhof is located in Holland and draws in tourists from all over the world. This park plants a whopping 7 million bulbs each year – which include everything from roses to orchids. The park is only open 8 weeks a year, where companies and flower growers display their dynamic flower presentations. 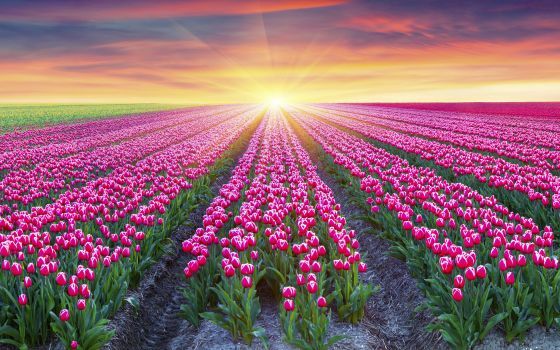 The variety of bright colors blooming all around are guaranteed to take your breath away. Visiting Washington D.C. during cherry blossom season is something you’ve got to do at least once. We’ll be honest, there are tons of tourists everywhere and everything in D.C. is overpriced – but viewing the cherry blossoms in bloom along the Tidal Basin is breathtaking. 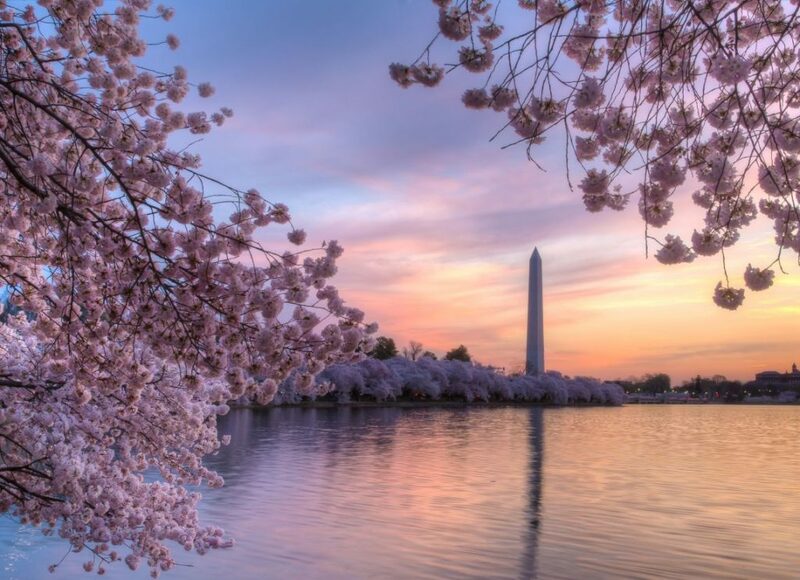 In 1912, Japan gifted over 3,000 cherry blossoms to D.C. in a gesture of friendship. And today, nearly 3,750 trees line the Tidal Basin, and when their white and pink petals bloom – it truly is a site to see. But don’t break the bank traveling to D.C.
To help lower the cost, stay at an Airbnb near the city. Since most of D.C. is walkable, you won’t need to rent a car, and you can always Uber or take the metro if you want to explore different parts of town. 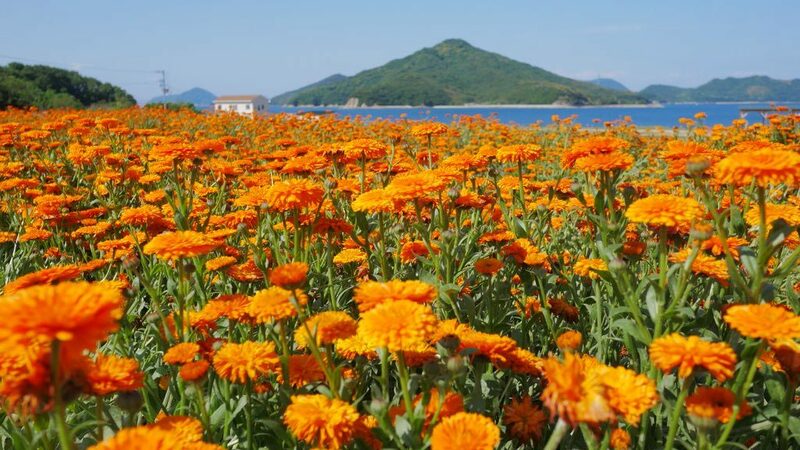 Instead of dropping hundreds of dollars on swanky tourist traps, consider planning your spring trip to one of these floral destinations. These gorgeous displays of wildflowers from around the world are bound to renew your appreciation for the simple things in life. 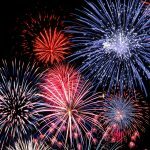 And don’t forget to check out the spring festivals and sample all the local cuisine while you’re there! Have you ever been to any of these wildflower spots? If so, which one was your favorite? Can Too Much Success Be A Bad Thing At Virgie’s BBQ?